Celebrate your unique sound to restore and deepen your authentic self-expression. What do you love about your voice? Chloë Goodchild has posed this question to thousands of students worldwide, and found a fascinating truth: we all long to bare ourselves through our individual voices, yet we suppress this desire under the masks of personality. Your Naked Voice breaks these barriers of self-judgment, replaces fear with total authenticity, and gives you the courage to express your natural authority and presence. 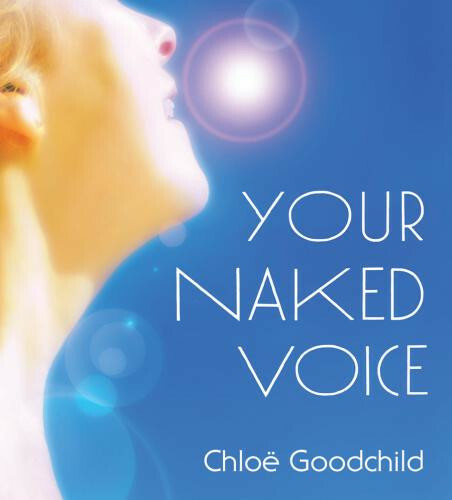 "Your naked voice," Goodchild begins, "is the original sound within you—the voice of your spirit longing to unfold. It is as unique as your DNA or fingerprint. By falling in love with your naked voice, you can redeem this true sound and discover its ability to awaken your life in ways you never thought possible." "It doesn't matter whether you are a highly trained musician, a singer in the bath, or a total beginner," explains Chloë Goodchild. With Your Naked Voice, now you can restore and deepen your compassionate expression, as you continually celebrate your unique sound in creative and liberating ways.